This Portuguese orange olive oil cake has an unforgettably tender crumb and a citrus smack thanks to fruity olive oil, winter navel oranges, and orange zest. It may not look it, but this orange olive oil cake recipe was, without a doubt, the hardest recipe to develop for my first cookbook, The New Portuguese Table. We made 13 versions of it until I knew it was as good as the recipe I got at Papas, the tiny restaurant up the hill from my apartment in Lisbon. The problem was—and I have no idea if this was intentional—but they gave me a recipe for a classic chiffon cake. Yet their mighty bolo de laranja was dense and rich, and just one slice could satisfy even my appetite. 1. Position a rack in the middle of the oven, remove any racks above, and crank up the heat to 350°F (180°C). Coat a 12-cup Bundt or tube pan with baking spray and set aside. 2. Finely grate the zest of 3 oranges and then squeeze the juice from 4 of them. You should have 1 1/2 cups orange juice; if not, squeeze the 5th orange. 4. In the bowl of a stand mixer fitted with a paddle attachment or with a handheld mixer in a large bowl, beat the eggs on medium-high speed until well combined, about 1 minute. Slowly pour in the granulated sugar and continue to beat until thick and pale yellow, about 3 minutes. Switch to low speed and alternate adding the flour mixture and the oil, starting and ending with the flour and beating until just a few wisps of flour remain. Pour in the orange juice and zest and whirl for a few seconds to bring the batter together. 6. Turn the cake out onto the wire rack and let it cool completely. (We know. Resist the temptation.) Place the cake on a covered cake stand and let it sit overnight. (Seriously. This dense, moist, fruity cake only gets better with age. Don’t even think about taking a bite until the day after you make it—or even the day after that.) Just before serving, dust with confectioners’ sugar. This orange olive oil cake is an epiphany. It is literally the most fantastic, wondrous creation to ever grace my kitchen. The smell while it is baking tantalizes, the taste when it’s removed from the oven mesmerizes. Thank you, David, thank you. I cannot wait to make this for everyone I know and let the worshiping begin! I made the recipe exactly as written. Has anyone tried this with another citrus? After reading the description of this orange olive oil cake, I couldn't wait to make this recipe. The cake turned out just as wonderfully delightful as I had imagined. I waited the full 2 days before cutting into it and I'm glad that I did. It's moist and decadent. I made this cake for Easter brunch and I was nervous the cake may be too sweet for a few of my guests who don't eat sweets, so I cut the sugar down to just under 2 1/2 cups with great success. Surprisingly, I could have enjoyed the cake a bit sweeter, and I usually don't like cakes too sweet, so I imagine the 3 cups would make a perfectly sweet and fabulous cake. The cake was displayed on our counter in a glass-covered cake dome for about 5 days and it remained moist until it finally completely disappeared. Here’s the hit of a recent charity bake sale! Easy and a real keeper—the note advising not to cut into the cake on the first day was my first clue how perfect it would be for a bake sale or other need to plan ahead. I did cut into it on the first day, though, and it was very moist, but not at all in a negative way. It was equally wonderful and perfectly moist on the second day, and I cannot report further, as it was completely devoured on day two—or sold, as it went to a bake sale. Customers loved the cake and specifically inquired about it. If I make this for a public event again, I’ll attach little tags with a link to the recipe on this site! It’s easy to make and quietly delicious. I noted the 12-cup Bundt pan specified and divided the recipe into a 9-cup Bundt pan, four mini-Bundts, and a 3-cup “garden bug” Bundt pan that makes five different varieties, including a dragonfly and a ladybug. The bugs were not only charming but tasty. They and the mini Bundts, attractive and impressive, were both standouts at the bake sale for their visual appeal as well as their taste. The first time I made the cakes, I poured all the batter into these two pans; on my second test batch, I didn’t fill the molds quite as full and made a second set of the bugs in the 3-cup pan. I had no trouble reducing the baking time down for these smaller cakes, and, in fact, the quick bake time for them added to the appeal of this cake. And on top of the delicious flavor and charming Bundt shapes, it’s a lovely yellow color, sunny, upbeat and attractive. It took the full 5 oranges to make the required amount of juice. I used a handheld mixer with successful results. After the 15-minute cooling period, the cakes turned out perfectly from the light-colored Bundt pans I used. Portuguese Orange Olive Oil Cake Recipe © 2009 David Leite. Photo © 2009 Nuno Correia. All rights reserved. All recipes and photos used with permission of the publisher. Thanks for this wonderful website and all the culinary culture it provides. If i could, I’d definetly come to one of your book signings. I live in Norway and just yesterday made a portuguese recipe of Bacalhau, dry cod fish. The portuguese are splendid to say the least. I would love to get your hard to achieve orange cake recipe! My mother used to make it and mine never turned excelent. How can i get it? thanks in advance. I would love that recipe, but I fear I’m calling myself out on the fact that I haven’t bought your book yet. I have every intention of doing so as soon as I get some pocket money! Just stumbled onto this site. The cake looked amazing. I am Portuguese myself and am trying to bring Portuguese cooking to my family. The Olive oil cake looks like a great way too start. This sounds delicious and full of flavor without being loaded with fat. Pray share! 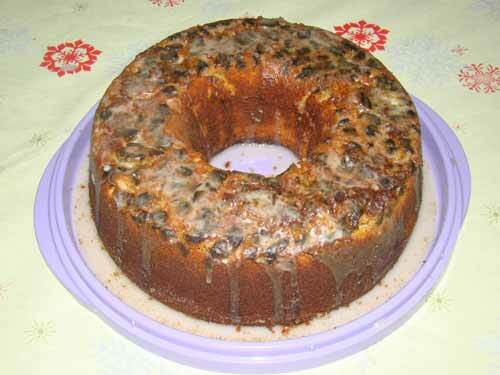 I just made this orange olive oil cake….PLEASE MAKE IT…..it is absolutely delicious!!! just had to cut it while it was lukewarm….sooooooo good. Thanks so much for those kind words, Cecile. Okay, you heard her- make this cake! What? Shame, shame, Cecile! You must wait a day! Actually, when I want it warm I heat some butter in a skillet, cut a slice, and brown it on both sides. A perfect breakfast. David! I haven’t been to your site in a while, nor have I purchased your book (all in good time! ), but I’m glad to have stumbled back in time to read your posting about the cake. This reminds me of Bolo Podre (spoiled cake) which I’m sure you’ve tasted either in Portugal or here in the States, and which I’m sure you’ll agree is definitely not a chiffon cake! I’ve been working on different variations of Bolo Podre myself, and my latest attempt features hazelnuts (avelãs) and figs (figos). Would love to try out your recipe! João, I certainly am familiar with bolo podre (also known as “rotten cake,” for those who can’t read Portuguese). I was considering adding it to the book, but when I came across this cake, I knew, for me, it bested it. I made this orange olive oil cake….my….it was delicious…will make it again. and again. Easy to make and it turned out a large bundt cake…..thank you ….will put more orange rind in…I like it….gives the cake a wonderful taste. Cecile, my pleasure. I’m so happy you enjoyed it. It is truly, one of my all-time favorite cakes. I’ve suggested to my husband he buy this book for me for Christmas. Is it possible to get the recipe for the olive oil cake please.I don’t think I can wait till Christmas. Yes, please, I would LOVE the recipe! I just watched the video of the making of the Portuguese Orange-Olive Oil Cake and would love the recipe. I would love this recipe and will def. try it i like tryin differently recipe from different states and countries. hi, this sounds absolutely delicious! (and dancers do eat a lot :) the recipe would be wonderful as I think americans (myself included) could always use another reason to make cakes. I love your site, and I would love the recipe for the absolutely wonderful looking cake! Yes, I would love that recipe for the orange-olive oil cake! I am a huge fan of olive oil in cakes and I would love to try this recipe out. Oh, this sounds so wonderful and unusual. I’d love the recipe—thanks. I’d love the recipe. I make one that sounds very similar and everyone always loves it and can’t believe it’s an olive oil cake. I’ve had great success with all the recipes I’ve tried from your site and can’t wait to try this one as well. Please send recipe for Portuguese Orange Olive Oil cake. Thank you. Thank you very much for the recipe. Will have eight dinner-table critics soon. Love your site. Can you send me this recipe? I would LOVE the recipe, please. I have a Portuguese friend that I would love to surprise with this cake. Great video. Please send the recipe! Thanks. Hi David, Great site. I would love the recipe. Thanks. Yes, please provide the recipe. I try to collect as many as possible that use olive oil and this one sounds delicious. You know this cake is worth every minute we spent and every calorie we consumed testing it. It disappears in a flash every time I serve it. If I am lucky and fast enough to save a piece for later my favorite way to have it is toasted for breakfast. I only wish I could get those fabulous Portuguese oranges. I am a novice cook. I fell in love with an orange cake in Portugal. This is very close to it but when I made this recipe there were a few things that quite didn’t turn out right but that is also because I probably changed a few things: I used regular olive oil instead of mild extra virgin and I thought the taste of the olive oil was a bit too overpowering. When I squeeze the oranges for juice, do I include the pulp bits into the batter? I strained mine. Also, the batter at the center of my bundt pan rose much more than the sides so when I flipped it when it cooled, the bottom was uneven and rocking… Otherwise, my family loved it because it was so moist and frangrant and orangey. So nice with tea or coffee. Josephine, a stronger olive oil will most definitely change the flavor of the cake. Some people like it, but I don’t. Yes, you can include the pulp. I do. It adds a real burst of flavor. 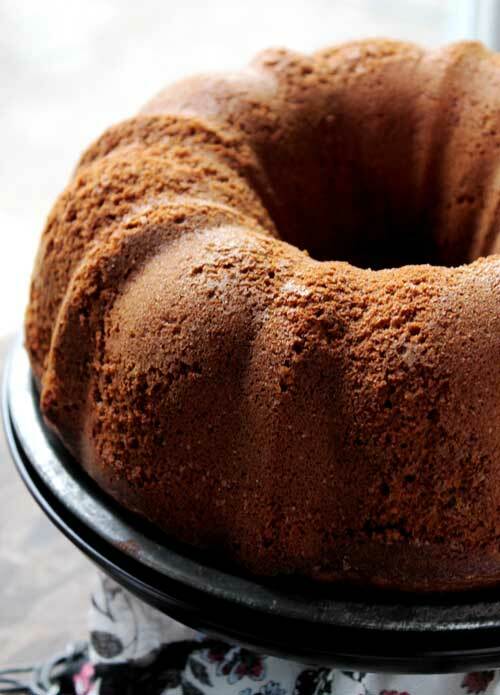 The cake does rise a lot in the middle, but are you using a 12-to-15 cup Bundt pan? That helps. Also since the cake is best the day after it’s baked, it eventually flattens when you turn it over on a cake plate and let it sit for 24 hours. This is a great site, I would like the recipe, please! Of course we want the recipe! With a headnote like that, how could we not? Cake is good for you! I can’t wait to tell my 13-year old son. He’ll burn it off in cross-country anyway. Cake is good for me! Heavens to Betsy, Mr. Leite, the Orange-Olive Oil Cake sounds divine. 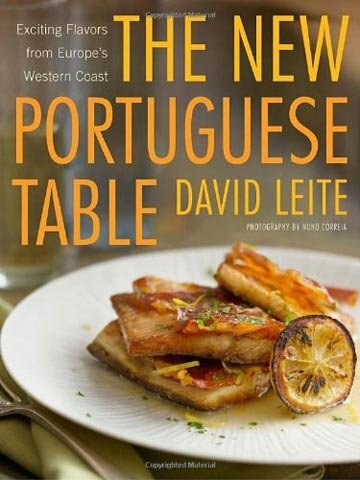 I would love to receive the recipe from you, thanks for the generous offer, and congratulations on all the exposure for “The New Portuguese Table.” Are you signing out Pasadena, CA way, or are you strictly on the East Coast? No signings out your way, as of yet. But there’s still time. Thank you, David. Any estimated time of circulation for the wonderful recipe? Thank you again, I truly look forward to this! Judith, scroll up. I placed it on this page. Thank you so much for this wonderful website, which always has new Portuguese recipes. I have always tried your new recipes and have enjoyed serving them to my family. I would love to get the recipe for the Portuguese orange-olive oil cake. My grandmother is from a small town in Beira Baixa called Granja (next to Amendoa), its almost the centre of Portugal. She always tells us that they used to make all their sweets with olive oil, which is what was abundant in the area. First we found it strange, but once you try it…it is delicious! Thanks again for these fantastic recipes! i would love the recipe for the orange Portugese cake. I have a Portuges husband with quite a sweet tooth. Olive oil- orange cake just might put a smile on his face. Love that there is no butter. Please send recipe. Do we want the recipe? Do you have to ask? Of course! Thanks for so many wonderful recipes and much, much more besides. 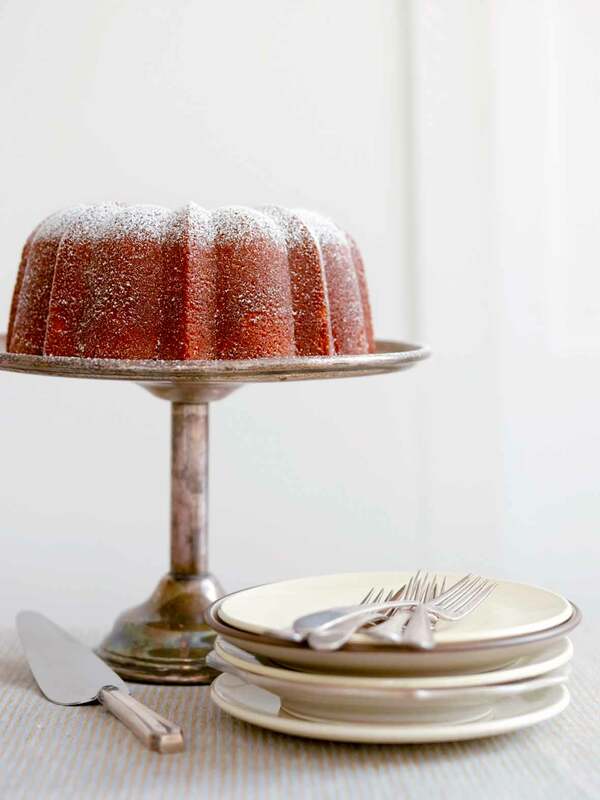 The orange olive oil cake is a hit….when can we get the full recipe? I have been smitten with your website these past few months. I have tried some of the recipes I have found and they do not disappoint. I would love to have your orange cake recipe! Did a search for olive oil cake recipe and fortunately landed right here! How did I miss this in my RSS feed from this your fabulous postings? I would love the recipe which will find me here in Oregon and then I will then be sharing it with my Mother in South Africa. Thank you! Your cake looks irresistible and from the comments I have read, the recipe is not one to pass up. As someone with a sweet tooth, an amateur baker who also enjoys reading and collecting recipes and who just simply enjoys reading your website, please include me among your admirers for the recipe. Thanks so much. I would love the recipie. My mother-in-law used to make this cake but I lost the recipe. Obrigada. I too would love the recipe! I’m on an olive oil kick with my baking. Thanks! Yes! I would like to have the recipe for your wonderful cake. Sounds delicious. Would love to have the recipe please. Would love the recipe for orange-olive oil cake. Reminds me of a meyer lemon pound cake i used to make; i always imagined trying to combine it with an orange-cardamom cake recipe i had to see how it would come out—and now it looks like you’ve done it—looks good! i’m going to try the cardamom addition anyhoo, but i bet its just awesome without! I would love the recipe. I’m having people for dinner this weekend, and I think it would be lovely with some orange curd or an autumn fruit compote. I had a wonderful olive oil cake at abraco in the east village, nyc. i made one of mark bittman’s olive oil cakes and one of marcella hazan’s, but both were not as rich as the one i tried at the cafe. i’d love to try making the leite’s version. thanks! I would love the recipe for your cake, thank you. Hi! I would like the recipe for the Orange Olive Oil Cake. Thanks! I would love to try this recipe. Being Italian, I love olive oil cakes. Thanks in advance. Such a fan of your website. My family originally hails from Beja, which is in the Alentejo region of Portugal. The area is filled with olive trees and farms, so it’s no coincidence that olive oil is a regular staple in traditional recipes of the region. The food of the region was meant to survive days in the fields during harvest season without spoiling. This is true of desserts, too. My grandmother would often make a dense olive oil cake that was hardy and sweet. It was a not a tea cake for sure. Oranges are typical of the Moorish influence in the region also, so marrying the two in a cake makes perfect sense. It would be something very traditional to do. I’m surprised that you found a cake with olive oil in Lisbon, which in culinary terms, is quite different than the other regions of Portugal. And you reproduce it…kudos! I’m sure it would even fool the natives! Keep up the good work. João, I think the baker at the restaurant is from the Alentejo (Algarve? ), if I’m mistaken, which explains the intense orange factor. I enjoy your website so much. “The New Portugese Table” is on my wish list. I would love to have the recipe for your Orange-Olive Oil Cake. Thank you! This looks delicious. I’ve been looking for some trans fat free recipes for at home. That’s a lot of sugar though. Did you try it with less in one of those 13 times? Laurel, actually this is the reduced-sugar version. The Portuguese like their sweets very sweet! Por favor, share the recipe! I’m out in the little town of Patterson in the Central Valley, where many of us Portuguese work and live. I’d LOVE to take this cake to the IES hall here in town and wow’em! If you’re planning a trip this way I’d love to show you around, and take you and your wife to lunch or dinner at the local Portuguese restaurant. Oh my how gorgeous cake! I’d love (love LOVE) the recipe please! Have a lovely, sunny autum! Went to Portugal this summer and never had a cake like this! Looks delicious. Would love to have the recipe to make for NYWCA event in October. Mr. Leite, I stumbled onto this site a few weeks ago, and this is one of the places I try to visit before I begin my day. I’ve recently begun exploring Portuguese cuisine and would love to have this intriguing recipe, if you please. Thank you! I would like to try this recipe. Do you have any bread recipes in your book? Thanks! I would love to try this recipe and I love your website! Thanks! Hi David, I’d love to try your Orange-Olive Oil Cake. I’d been waiting anxiously for your cookbook to come out, and wish you a great success with it! I would love the recipe also. It sounds delicious! Can I have the recipe please? Love your website! I’d like the recipe, please. Okay, okay. The recipe is posted above. (It’s easier than write all 73 of you.). I wasn’t holding out on you, either, I just needed to get permission from my publisher to post it. (Yes, even authors need to get permission.) I hope you enjoy the cake. Live long and baking happy. Please send recipe for cake. I’ve posted the recipe above. Enjoy! I am so excited to get your cookbook. My husband and I traveled to Portugal on a total whim in 2008 (we went to England in January. Bad idea. The weather was miserable so we hopped the cheapest flight to the warmest place. Lisbon!). We fell irrevocably in love with Portugal. The food was so fantastic (you don’t perchance include a recipe for those yummy donuts with orange sugar, do you?) and we found the countryside, the cities, the people terribly romantic. I’ve been plotting to go back ever since. Your recipes will have to tide me over until then. Willi, I’m so happy to know the book is helpful to you. When you go to Portugal, let me know! Dear David, I’ve finally got round to making this recipe from the book, and as I type this, it’s cooling in the pan just in front of me. It rose beautifully and it smells completely divine, this beautiful bolo de laranja, and I’m going to have a lot of trouble waiting until tomorrow to cut myself a piece. Muito obrigada para a receita! Ling, you have to tell me what you think. Last night I was at the annual gala of the Portuguese-American Leadership Council of the United States (PALCUS), where I was honored to receive the National Leadership Award for my book, and the biggest topic on people minds was this cake! Superb! Glad everyone liked the cake. OMG! It’s been just over a year since I made this!!! It’s been too long – I gotta make this again soon!! Oh, and CONGRATS on the award—you must be really proud!! David: I have requested your book for Christmas and KNOW that I can’t wait!!!! My sister and I are in Oregon and are having our traditional Portuguese Christmas. The only thing lacking is desserts! The Orange-Olive Oil cake sounds as if it could be a great start! Please do share this recipe, as well as any other suggestions you may have! We are having Lombo de Porco Recheado (Stuffed Pork Loin), Camarao Mozambique (shrimp Mozambique) to name a couple of items! Hope to hear from you! Happy Holidays! Elizabeth and Joanne, thanks for the enthusiasm! The recipe for the cake is above. And you’ll find lots of great ideas in the book for holiday desserts. One thing to try: Make the Massa Sovada in the book for Christmas Eve and then make rabanadas (similar to a French toast) the next day for breakfast or dessert. I also like the Portuguese Salt Cod Hash, too. Simple and delicious. Anne, so happy you like the cake. It is simple to make. Because it’s so moist it lasts a long time covered in a cake dome. David – I made this cake and it was simply amazing. The video is not only entertaining (you really have a great TV presence), but it was very helpful. I would have doubted myself about the texture of the batter being so thin, but of course it worked out perfectly. I hope you don’t mind I wrote a bit about it here. I also just got hold of your book. Don’t know what took me so long. I can’t wait to get cookin’. Looking forward to seeing you in February at the Roger Smith conference! Thanks for the kind words, Tae. I’m happy the video helped; sometimes seeing the process makes a lightbulb blinker on in your head. Write me when you make some of the other recipes. Would love to hear your thoughts. I just made this for Christmas dinner tomorrow. Oh, my! It is gorgeous and smells wonderful. It will be hard to wait. But wait you must! It’s so much better the next day. Don’t forget to write in and tell me what you think. This was a big hit at our Christmas dinner! Absolutely delicious! Moist with great orange flavor and a lovely light crust. My daughter commented to her boyfriend, “We need to get a bundt pan!” :-) Thanks for the great recipe, David. KD, my pleasure. So glad you waited. It really does make a difference. Happy holidays! In Peru we have very good oranges and olive oil, so your cake should come out fantastic. Could I have the recipe? Marga, the recipe is on the page above! David, I made your olive oil cake yesterday, followed the recipe very carefully. It smelled wonderful and we’ll know the results Sunday. So I thought I’d take a look at your video, which I had not watched before I made the cake. Was I surprised when you had Sonia beat 5 eggs and then add 2 cups of sugar. OMG, I made a mistake becase I added 3 cups of sugar. Then I went back to the recipe itself and sure enough it calls for 3 cups, not 2. Well I don’t plan to remake it before Sunday and now I don’t know which is your formula, 2 cups or 3 cups of sugar. I’ll send a report on the 3 cup version sometime after Sunday. Hi, Lee. Fear not, the three cups is correct. There was a tech glitch on the show, and the notes said two cups. I’m sure the cake will turn out perfectly! Well I made the cake with 3 cups of sugar and it was a big hit. Several guests wanted the recipe. Although it was fine on its own, we served it with raspberry coulis and creme chantilly. Served the remainder a few days later with sliced strawberries. Perfect both times. So glad you like the cake! And your additions sound wonderful. can you please tell me what is the best olive oil (by brand) to use for this cake as there are so many to choose from. Hi, Pedro. I’ve used many different brands, some that are made by local artisans or stores. And not all brands are available everywhere. What you’re looking for is a lighter, fruitier oil. Heavy, overly aromatic oils will throw off the flavor of the cake. One thing you can do is go to olive oil tastings in your area. That will give you an idea of different flavors. I was just introduced to you and your website today. Concerning the Portugese Orange-Olive Oil Cake, the video calls for 2 cups sugar and the website lists 3 cups sugar. Would you please clarify the amount of this ingredient? Richard, I hope you enjoy it here! I was a bit nervous on TV, and stumbled. The correct amount is 3 cups, as the recipe states. Hello there, I’ve been looking for cakes with olive oil and found your webpage. My friend Teri and I have had much success with your Chocolate Chip Cookies (they were gobbled up straight out of the oven by her daughters), so I’m looking forward to trying this recipe out. Will let you know how it turns out. Thanks. Ann, hope you like it. It’s still one of my favorites. I shall have to try your version to see how it plays out. This sounds wonderful. Who can resist the taste – and smell – of orange. Question: Can I use 10 egg whites instead of the 5 eggs? I’d like to cut cholesterol if possible. Do you think it will change the taste/texture? FYI—so far—one of my signature deserts is is Ina Garten’s lemon yogurt cake. I substitute egg whites for eggs there; no difference. I need to branch out…and I’ve tried two chocolate cakes recently which have not worked well. I guess I’m destined to present fruit—and lighter—options. Help is always appreciated; thank you. Hi Joan, yes, it will change the texture. The cake is marvelously dense. Using egg whites will change the structure of the batter, making it a bit tougher (yolks provide fat and tenderness). I think the only way to really know is to play. I’d make it once the way it’s written—so you know how it’s supposed to be—and then with whites and see the difference. It might be you like it. Joan, this cake has a lot of oil in it, too, but without having tried your version, I’d hate to give you the thumbs up. But do write back and tell us the results. I’m sure your fellow readers would benefit from your experiment. Thanks so much for personally answering our questions. You KNOW we appreciate that. BTW – Did you ever go to Jeffrey’s Meat Market for his butchering class? AND…did you find the Chinese grocery store for the chestnuts? If you didn’t–I’ll get the exact address for you. Winter’s coming. Perfect time for your sauteed chestnuts, onions and bacon!! My dear Joan. I’m so glad you enjoyed the cake as is, without any fiddling. To me it’s one of the best cakes I’ve ever developed. And thanks to Cindi Kruth, my trustworthy and hard-working assistant, who never flagged once in those 13 trials. Joan, I did go to see Jeffery and will be frequenting his market this fall. I never did get to the Chinese market. Can you send the address? Shauna, you have to share you GF version with LC readers. If it’s anything like the GF version of the famous chocolate chip cookies, they’ll love it. I’m going to make a GF version on wed. I’ll have pictures on FB and Twitter around 5 ish pst. Looks great. Danny, that’s great. Would you mind posting them on our Flickr page, too? I think our readers would love that. Funny–I just got a call from the local kitchen ware store THIS MORNING that the same Nordicware Bundt Pan I had ordered through them just arrived. The Orange-Olive Oil cake will be the “initiation cake” for the pan! Chiyo, please write and tell us how it comes out. I find that Nordic pan to be the best one for the job. You are improving with experience on those guest spots on TV! Congrats. I also have an Olive Oil Orange cake recipe, clearly similar, but requires Valencia oranges as it’s SPANISH. Got the recipe from chef Luis Zambrano of Viva in Glendale, Massachusetts while researching a story for foodie mag Dinnerwhere. Had a blast translating his rough notes to decent copy. Didn’t bake it as many times as you did, however. You rule David! Thanks, Carol. I so enjoy the segments. Everyone on the show is fantastic. Your cake sounds magnificent. Is it on your blog? Yes, you sneaky devil, it is…now! Fresh and Fruity! Wonderful job, you looked great on the TODAY SHOW and the recipe is obviously a winner! I hadn’t known about using a light colored bundt pan, that is a great tip. I do have a question though, why kosher salt? I see a lot of recipes use it and I’m curious as to why. Would our salt from Cervia work too? Hi Lael, Thanks. I use kosher salt because it’s what I’ve always used, and I don’t like having one salt for cooking and another for baking. (Many bakers use table salt in baked goods.) You can use other salts, but you need to check them by weight, because different salts have different densities and crystal sizes. Also some salts have a saltier taste, too. I figured kosher is a relatively constant product. Clotilde, so lovely to hear from you! Thanks for the kind words. Do let me know how it turns out. And remember: let it sit for at least 24 hours. The flavors really develop. My next attempt is to use the batter to make financiers and muffins. Curious to see how it turns out. I got the idea from Bianca Henry Borges, the food stylist on the show. Finally got around to trying your cake and mine side by side. The first day, mine was better.The second day, about even, and on day three, yours ruled supreme. Then I did a second test, with six tasters plus myself: Mine was baked the same day, and yours was baked three days earlier. Your cake came out slightly ahead. I tried making your Orange Cake, just because growing up my mom always made it but with butter and it’s always been one of my favorite cakes. So I figured I would try it a different way, and I love it! My moms recipe comes out a little like a orange flavored pão de lo. I like the texture on this cake much better. Thanks again for all your recipes…all of them are so close to home and it’s much easier reading your recipes than asking my mom and her telling me, “A little of this, a little of that.” Congrats on appearing on the Today Show. Hi David, what brand of extra virgin olive oil did you use for this recipe. Hi Jackie. I hesitate to recommend one because there are so many on the market, and not every cook can get the same. I often use Fairway brand, which is through our local store. But you want a fruity oil; a peppery or grassy one would throw off the flavor. The best thing to do is check out the oils when your local store has an olive oil tasting and find one that you like. The cake looks scrumptious! I’ve had your book for almost one year, inspired to pick it up after making the rounds in Newark’s Ironbound. After seeing the Today Show clip (who was your helper, by the way? ), I will definitely put this on the long list of what to cook next. I’ve really enjoyed the Eggs poached in Tomato Sauce, and the salt cod hash entree’s. Also brought back to the Midwest a slew of fresh Portuguese style sausages from the area, too. (Nothing like that in Chicago.) Thanks for a culinarily inspiring book! I think I’ve found the recipe for a Saturday afternoon Chanukah party! Will follow your recommendation: bake on Friday and serve next day. I know you mentioned it should sit covered overnight. Does it need refrigeration? Leftovers? Regarding the cake, no need for refrigeration. If you have leftovers, just keep the uneaten portion wrapped or in a cake dome, and you’ll be fine. Happy Holidays. Hi David, thanks for the recipe for the orange olive oil cake. Can I the replace olive oil with Omega III sunflower oil? Hello, Glynnis. I can’t vouch for the sunflower oil, as I never made the cake with it. But try it, and let us know how it turns out. It would be good learning for all of us. What brand of olive oil do you recommend? Hi, David. Just made the nutmeg cake. Very tasty; Thank you. 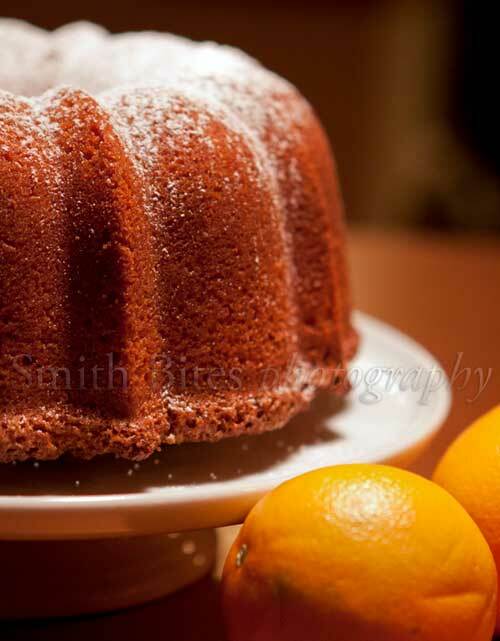 However, your Orange Olive-Oil cake “how they say?”….definitely takes the cake. :) My guests always love the intense orange flavor. However, I’d like to cut the recipe in half and make it in a loaf pan. Any suggestions on how long the bake time would be in the smaller pan? Thanks for your help, as always – and the very best to you during the holiday season and as well as incredible 2011. Hello, Joan. If you make enough batter to fill a 9-by-5-by-3-inch loaf pan, try baking it between 45 minutes and an hour. Check it carefully the first time, so that you don’t overbake it. David, I made your orange cake and it was SOOOOOO GOOOOD! Of all the deserts served after our Christmas dinner, my orange cake cleaned house! There were no leftovers! Muito obrigado e um Feliz Ano Novo! Making this today, to be served on Friday for my three-year anniversary. May serve with some sugared-Rosemary grapes. I’ll let you know how it came out. So excited to make it; even more excited to taste it! I love olive oil in desserts! Renee, well, happy, happy third! May you have many more. All I can say is follow the recipe exactly and definitely use a light colored pan. Makes a huge difference. So…that cake came out PHENOMENAL. I usually need some sort of icing/filling, so I was surprised by how moist it was and that it did not need ANY topping. The BF loved it, too. Thank you so much! Love the recipe and it turned out marvelously divine with tea in the morning. As suggested, kept the cake for two days before digging in and it tasted even better the day after. David, thank you for this cake. It is a gem of a recipe and I am smitten by the fact that it improves over the day or two after it is made — delicious *and* convenient to schedule do not always come in the same package, as well you know. I made it just this week for a friend’s birthday celebration and served it with two sorbetti, a Sicilian almond/orangeflower and a caramel/Cointreau. Not quite Portuguese, perhaps, but certainly not too far away, either. Hanne, I’m delighted you enjoy the cake so much. It a true winner for us here at Chez Leite. And don’t fret over your additions. I think they’re marvelous! Hey, I was just redirected here by the pioneer woman (and I’ll be bookmarking this blog btw:) I was just wondering how you’d go baking this in a sheet pan? For bite size portions? Thanks! It looks wonderful! Erin, first welcome! Second, good question! And one to which I wouldn’t hazard a guess without trying it myself. I don’t even know if there’s enough batter for a half sheet pan. Clearly the cooking time would be less–considerably. FWIW, I’ve cut 40 samples from the Bundt version for readings at bookstores, and it was fine. My biggest fear of baking in a sheet pan: It would dry out from all that exposed surface. OMG this looks fantastic! I work at an olive oil and balsamic vinegar store/tasting room, and I found your blog while looking for recipes to sample in the store to show customers the amazing things you can make with olive oil. I wonder if you think the orange juice could be replaced with something else when oranges aren’t in season? I think I’d like to try making it with our Blood Orange olive oil (made by pressing whole Tunisian blood oranges in the same press along with the olives). Jaime, you can certainly replace the orange juice, but you would also have to replace the zest, too. What to replace it with? Perhaps some other citrus, but the problem is all proportions would be different. I’ve make the cake year round with oranges on hand and have never had a problem! Looks like a great recipe which I am definitely going to try. One question though, can I use a normal cake tin instead of a Bundt tin? Yes, readers have done so. The baking time will be reduced, though. Can’t tell you how much, though. But follow the visual cues and let us know how long. I have just made it and it’s still baking. It’s been nearly 2 hours. The worrying thing is that a small part of the middle section is not baked yet. Not sure what to do. Just gave it another 10 minutes without increasing the temp. Afraid if I increase the temp, the cake will be black up the top. Any advice? Sounds like a good plan. I hope it turns out okay. Or I was thinking I could halve the recipe. Would that be ok do you think? My cake pan was a little bit too small for the whole recipe so much so that the cake rose a fare way out of the cake tin. I don’t think I can wait til tomorrow to try it. :) Waiting for it to cool now. Sharon, it’s always best to have the right pan for the job. But if you can’t wait, you can try to halve the recipe. Just make sure the batter comes up no more than two-thirds the way up the pan. An interesting recipe that I shall try over the next few weeks. What really makes me, along with all our family, laugh is the name Bundt–which until the “My Big Fat Greek Wedding” film none of us had ever come across–always referring to the tin as a tube tin. Thanks for the memory … oops recipe. This cake was amazingly delicious! I noticed on the video that one of the cakes was glazed instead of having powdered sugar sprinkled on it. What do you recommend for a glaze? Soniep44, I developed the cake for olive oil and have used nothing but. I think the flavor would definitely be different if you use canola. If you try it, I’d love to know your results. It would be very helpful if you could recommend easily available brands for certain ingredients like olive oils (I realize that this will involve extra work in doing taste tests, but it would be VERY helpful. Not everyone has access to a gourmet store that does olive oil tastings, and we can’t all afford to buy every olive oil at Whole Foods or Trader Joe’s to see which one is the mildest). Thanks for a great website! Sure. One that I’ve used many times was Bertolli extra-virgin olive oil. It found it mild and didn’t assert itself too much. David, this is definitely on my list to make. But my bundt pan is, I’d say, a medium color (non-stick by OvenStuff). I also have an aluminum angel food cake pan (that is not nonstick). Which should I use? Hi Neera, definitely the Bundt pan. But make sure to really coat it well with the cooking spray. You want it plop out perfectly, with no crumbs clinging to the pan. I made this cake here in Montauk NY tonight! It stole the spot light from the entire dinner party! I highly recommend this cake. I added the seeds of 2 vanilla beans just because I needed to use them before they dried out & I added some orange slices to the bottom of the bunt pan and sprinkled ginger on the top just before baking and the flavors really complimented each other with a great balance! The original make of this cake would have been perfect as is! Mike, so glad you liked the cake. But, man, I love your variation. I have to try it. I tried to make this and it is baking as I write this note. I found a problem with the proportioning in that there was not enough liquid to support the flour/oil additions. The batter began to turn to dough. I had to add the orange juice plus more liquid before the flour/oil could be completely added. In the end it did appear as batter. The second thing I would like to add is that I used a medium priced Extra Virgin Italian olive oil of a non-fruity tasting character. I am afraid that while this oil is good for table use it is not appropriate for a cake. I tasted the batter and it had a bitter overtone. We’ll see how the cake is, but I would recommend that one consider the character of the olive oil they use for appropriateness in this recipe. Kathy, I’m so sorry you had some problems with the cake. First, how did you measure the flour? If you have a heavy hand, you can add almost up to an extra cup of flour. It’s always best to stir the flour with a knife, gently dip the measuring cup into the flour, and sweep the excess off with the knife. It’s called the dip and sweep method. And, yes, you want to use a very good, fruity olive oil. Poor quality oil can indeed taste bitter. Please let me know how it turns out. To follow up on my previous post, I did carefully measure my dry ingredients so I don’t believe that is the issue. My baking time was longer than specified in the recipe but that may have been due to my extra liquid addition to compensate for the doughy nature I encountered. Of course, baking time is dependent on many factors so I simply tested along the way until the toothpick came out clean. The texture and crumb of the cake is wonderful. The taste is somewhat bitter but it is a keeper nonetheless! Using a fruity olive oil this is I am sure a wonderful cake to make and I will try it again soon. Kathy, I’m glad you liked the cake nonetheless. If you make it again, and I hope you do, please take some pictures and send them to me. Maybe I can help figure things out. Also, regarding the bitterness, I’m sure you didn’t grate any pith into the batter? Regarding bitterness and pith – I bet that you are right. It does taste like bitter orange pith. Kathy, I suspected as much. I use a Microplane, which creates the finest zest rich with plenty of essential oils. This cake looks delicious. I love baking with olive oil. My favorite here in Spain is a cake made with chunks of apple, yogurt, and extra virgin olive oil. I love tasting the oil in the cake. Thanks for this recipe, I’ll be trying it soon! Lauren, my pleasure. Let me know ho wit turns out. Made this cake for a new year’s eve party. It was dense and moist and fabulous! The orange flavor was not as strong as I wanted, but I think my oranges were not of the best quality. Or maybe I got lazy with the zesting and didn’t add enough. Also I only baked it for 65 minutes. Served it with St. Cecilia sauce which is whipped cream with powdered sugar, egg yolk and Cointreau to taste. And as others have stated, it was even better by day 3. Think I’ll go have another piece right now! Thanks for this recipe. Sherri, so glad you enjoyed the cake. It’s one of my very favorites. The mild orange flavor would definitely be due to the zesting. You need to get all of it. And it also could be due to the size of the oranges. But this time of year, navel oranges are in season, so they should be pretty large, hence more zest! I’m going to try making this later in the month for my birthday, but first I have an olive oil question to add to the many above! Is the olive oil relevant for the olive aspect (for the flavour) or the oil aspect (for the texture)? I scour import shops to find Portuguese extra-virgin olive oil, because I prefer the flavour (I grew up in Portugal, it’s no coincidence), but the flavour is reasonably strong. ‘Mild’ olive oils in UK shops tend to look and taste no different from sunflower oil. I’d hate to use my precious stash, only to find that it ruined the cake! Briony, classically produced Portuguese olive oils are too strong for this cake. The new oils, which have a milder flavor, are best. But there is indeed a difference between mild (not light) olive oil and safflower oil. So I’d opt for a good fruity Italian or Spanish olive oil, and keep your Portuguese stash for wonderful bacalhau dishes! The Professor bought me your cookbook a year ago for Christmas, and THIS recipe was the first one I made–took it to the nursing home for Grandma’s 91st birthday last year and everyone raved . . . And when we were asked to join our Cincinnati family for a Spanish Tapas-style New Year’s Eve bash, this cake was specifically requested for dessert . . . David, I cannot tell you how fabulous it was. Thank you, thank you, thank you for putting the recipe in your book! It really is one of the best cakes ever–moist but not heavy, silky and a bright citrus flavor that is pure heaven during the winter months here in the Midwest. People who said they were too full from dinner kept going back and taking little slices of the cake . . . there wasn’t a crumb left anywhere! SMITHBITES, the cake is gaw-geous! I’m so happy that you and your family enjoyed it. It’s one of my favorites, and it’s also one of my most requested desserts! OMG. David, this cake came out so beautifully. I love many things about it. First, it has a lovely, lightly brown crust which adds flavor, then the inside is moist and tender with a delightful orange flavor that is light and refreshing. It is a welcome flavor in the frigid, snowy Minnesota winter. I probably have made hundreds of Bundt cakes (they are my favorite thing to make) and this one is a thing of beauty! Thanks so much for sharing it. I will be making it for many of my friends and will sing your praises! My dearest Judy, well thank you. I’m so happy you like the cake, And by all means, share away and sing away. David, to my ears, you seemed to express a measure of disdain for the chiffon cake in your story. Having never baked or eaten this cake or a chiffon, I was wondering if you could tell me what you feel distinguishes them as they are both based on an oil as the fat component. As a person with a food allergy, I’m really interested in confections that don’t require butter. Chris, no disdain at all. A chiffon cake is a mighty and lovely cake. It just wasn’t the cake served at the Lisbon resto. 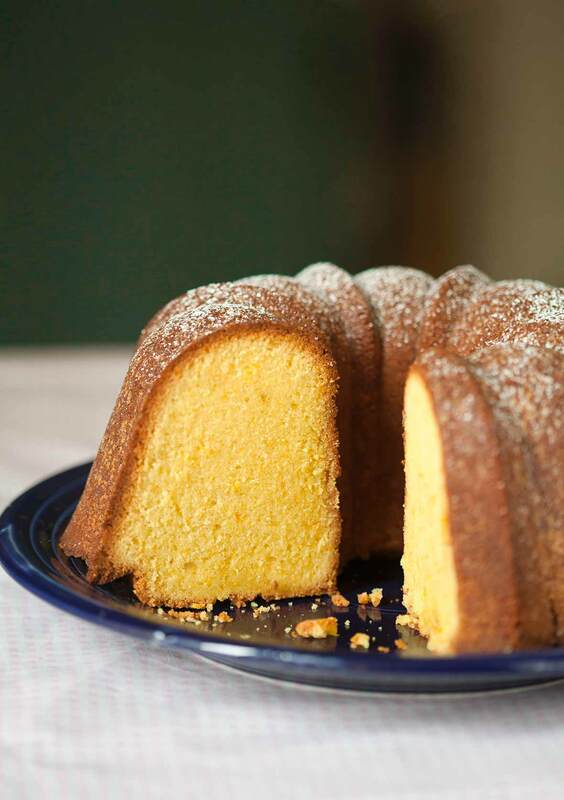 A chiffon cake is a much lighter cake, and gets its lift and lightness from the beating of egg whites until they’re stiff then folding them into a batter made with the yolks. Here the eggs are beaten in whole. While the cake isn’t heavy at all, it’s denser and firmer than a chiffon cake. Hope this helps. David, I tried this recipe on the weekend, and I’m adding my voice to the rapturous commenters’ chorus. It’s moist, dense, sweet and orangy, just as advertised. I think the texture might be similar to pound cake. My lab notes: while baking the cake rose and would have overflowed the pan had I not divided some into a separate mini tin earlier. Perhaps my bundt pan is smaller. My cake was done (and getting quite dark at the edges) at 1 hour, but ovens vary. As it baked, the top split early on – I don’t think I care. As I mentioned, I find the cake quite sweet, and as you mentioned in one of your podcasts, the Portuguese prefer their confections even sweeter than Americans. What’s the effect of reducing the sugar, chemically and mechanically? Experimenting is expensive so I’m asking you first. Finally, does this recipe absolutely require a bundt pan or can it be made in other vessels, i.e. 8/9-inch round/square, 9×13-inch, cupcake tins, etc.? Thanks again for publishing this recipe. Hi, Chris. So glad you liked the recipe. It is a winner. As to your notes, Bundt pans really vary in size. This cake need a big one. Mine is a 12- to 15-cup pan. It’s the only cake I make in it. And, yup, you can make it in other pans. I’ve seen it made in loaf pans, cake pans, brownie pans, you name it. You have t adjust baking time, obviously. As to the browning, it could be because your oven runs hot. My cake is never done at one hour, so there’s a clue. And the splitting…well…I love that. Plus it makes no matter, as the cake is flipped and sits for at least two days before you eat it. Now, as to using less sugar. Sugar does all sort of things to the cake. It adds sweetness, moisture, structure, etc. I’ve never cut the amount of sugar, so I can’t really give you a hard and fast answer. But my suggestion is to use 1/2 cup less the next time. That shouldn’t hurt the cake at all. If that’s still too sweet, I’d try another 1/2, but no more. That would be more than 1/3 the sugar, which will change proportions, volume amounts, and chemistry. We teach this cake every once in a while (not really Tuscan but it has an equivalent). We make this recipe differently: the oranges are boiled for 2 hours and then, thinly sliced, drained and stirred. This makes the flavour a little more bitter because of the cooked skin, but the texture is much more dense and it is easier to get it right. It also has less flour and calls for ground almonds. There is a cover of chocolate glaze that works perfectly with the taste of the oranges. PS on our books suggest a Sephardic Easter origin. Manuela, that sounds lovely. Some Portuguese cooks add ground almonds to orange cakes, as they’re plentiful in the south, where the orange groves are. And I’ve used a chocolate ganache glaze on my cake. It makes it entirely non-Portuguese, but it’s still great. Chocolate has and has not to do with Portugal. It really depends when you set the timing for being original or not. Chocolate came in with tomato and potatoes, eggplants, vanilla and no one can say that they do not belong to Portugal, or Italy. Certainly Portugal has more historical relation with Central and South America than Switzertland, where we assume chocolate is traditional! We did an experimental variation, instead of almond flour we did pistachio flour and white chocolate glazing. Some judged it the best cake they ever had! Manuela, I love the idea of pistachio flour. I have GOT to try that. Regarding chocolate and Portugal, certainly they crossed paths, especially with Portugal’s navigation past. What I meant is you don’t see many chocolate desserts in classic Portuguese cookbooks. Egg sweets are what won out. I tried this recipe and it came out really awesome and flavorful cake. It’s delicious!! David, thank you very much for sharing this wonderful recipe. Vonny, it’s my sincere pleasure. Where I live (Perth, WA), the navel oranges are noticeably smaller than what I remember in the US. Can you please let me know the approximate weight that is expected for the 4 to 5 naval oranges? Hi Jeremy, I’m ballparking here, but the average navel orange that I use is about 10 ounces. Is this supposed to be with 5 eggs or 5 egg *yolks*? Recipe says 5 eggs but video seems to say yolks. Hi cakequestion–blame it on nerves! The recipe–5 eggs–is correct. Thank you! I made it and it came out great. If I wanted to make a lemon version of this cake, could I just substitute lemon zest and fresh lemon juice for the orange zest and juice? Hi cakequestion. No, you can’t make a one-to-one substitution. The reason is lemons are far more acidic than oranges. I’d try 3/4 cup freshly squeezed lemon juice and the zest of 6 to 8 large lemons. That should be a good starting point. Please write back and let me know how it turned out! Thank you so much. I’m sorry I have so many questions. I loved this cake and want to experiment, but am not an experienced baker. Could I make this cake in a loaf pan also? I promise this will be my last question! And I will definitely update after trying the lemon version. cakequestion, not a problem. You absolutely can make it in a loaf pan, but there’s a lot of batter here. You may need two or three pans. David: The cake looks amazing–could you make it w/almond flour? I’m not gluten-sensitive but my best friend is, and I’m looking for an incredible cake for her b’day. Thanks so much! once again, I’m wondering if you’ve ever tried to freeze the cake and if it freezes well? Hello bit late, if you look above, you’ll see one of our readers said the cake freezes beautifully. I have never tried it, as it never lasts for than a a few days! I bake, a lot, and this is by far my all-time favorite citrus cake. Silky, dense, moist…fabulous all around! I will be sharing my experience with this cake on my blog tomorrow. Can’t wait for my readers to have a bite of it! Wow! Wow! Wow! Kate, this is stunning. Simply stunning. I can certainly see why it’s become a family standby. Many thanks for taking the time to share it, both with us and with your readers. David – Thank you for this fabulous recipe! I was specifically looking for a recipe where I could make the best use of some beautiful tree ripe California Navel Oranges and some wonderful Extra Virgin California Olive Oil. As I did not have a very large light colored bundt pan that would fit all of the batter – I used 2 medium and 3 small bundt molds that I Iightly greased with some olive oil and dusted with flour. I adjusted the baking times of each until finished. All of the cakes released and turned out great. Most importantly, the taste was amazing! We are a small family, so I double wrapped and froze one of the medium bundt cakes. I am sure that it will hold well, and we can enjoy this wonderful cake once again in the near future! Emille, that sounds marvelous. I can guarantee the cake freezes well, as I’ve done it many a time. I made this last night and marbled it with a molasses cake batter. I love the two flavors together and it has a fantastic texture. Thank you as always. Penny, you are more than welcome. I have so far made this cake to be served at three weddings, including my own last October. I got nothing but compliments on it, and it is now my standby cake-for-an-occasion. Thank you so much! Debbie, my pleasure. Nothing makes me happier than to hear this. I wish you and your husband a very warm and happy marriage! David, I’m from Lisbon and have been living in Brazil for almost two decades. My grandmother from Trás-os-Montes used to bake mostly with olive oil…so I decided some time ago to go from butter to olive oil in cookies and cakes. I’ve just baked your Orange Olive Oil cake, and I’m using this fabulous cake to ask some questions related to baking olive oil cakes. I have a kind of rustic industrial gas oven that is a ‘quick’ oven type. Usually medium to larger cakes take 30-40 m to bake in it. I have no idea on how much the temperature rises inside it, but I could go near 300 C… so for medium temperatures I just switch the maniple to ‘half’ position empirically. The cake came very nice for a ‘first-time’, but featuring a denser crumb than most pictures I’ve seen from it in such a way that it might still be a little bit undone after 1 hour. I took the cake tree times out of the oven, the last two times the standard ‘insert-a knife’ test came clean but something told me the cake was still undone and the thumb-pressing test flattened the surface but it didn’t ‘came-back’ to its original resting position. After 1:10 h I decided to take it out for once, especially because even with aluminum foil, it was starting to burn on top. My distrust from the ‘toothpick’ test came because the same thing happened with a kind of lemon olive oil chiffon cake recipe (from Epicurious website) that I tried before. I made the standard test for cakes and it was ok… so took it out of the oven and inverted it immediately (alas…chiffon cake) just to see its interior (miolo) drop off with a disgusting sound… actually the outer ‘skin’ of the cake clunged to the pan as expected for a chiffon. A close inspection of the crumbled baked batter revealed it was still undone, very dense and similar to some olive oil ‘empadinhas’ (small pies) my grandmother also did. My question is: can the universal ‘toothpick’ test for cakes be reliable in Olive oil cakes? If so, what might have gone wrong? I send a photo to see how dense it is (and I have beaten the eggs and sugar by hand until ribbon stage as for a ‘pão-de-ló’!) and one can see a darker area where the batter is more dense. Is this because of low temperature, low cooking time…or may be just a more humid batter?- I followed the recipe quantities exactly. It is the second time (100% of my tries) the standard test for cake baking time fails with an olive oil cake! Hi, Jorge. I think there are several things going on here. 1. I suspect your oven isn’t calibrated properly. Without a true dial with numbers, setting it halfway is a guess. With baking, everything is a formula–like chemistry. Accuracy is crucial. I’d suggest buying several oven thermometers and place them at different spots in the oven. Set the oven for 350°F and let it heat completely, about 30 minutes, Check the thermometers, If they’re off (high or low) that’s part of the problem. 2. The cake can go as long as 1 1/4 hours in oven. If it was burning on the top, place the foil on sooner. 3. The recipe says to wait 15 minutes before turning out the cake, but you inverted it immediately. That will cause it to stick because it hasn’t cooled down enough to pull away from the sides a bit. 4. Did you use a nonstick pan? That is very important. 5. The mixing times in the recipe are specified for a stand mixer. Mixing by hand would take a lot longer–and a lot more work! It’s possible you didn’t get to the right stage for the cake. 6. As far as the toothpick/or cake tester (I use bamboo skewers) test, it does work–at least for this cake. Bottom line, I think you under beat the cake, baked it in too cool of an oven, didn’t cover it with foil early enough, and didn’t let it bake as long as it needs. Wow…thank you very much David, for such a quick answer! I think you’re right…I will follow your advice on the oven. The cake I inverted immediately was another one: olive oil & lemon chiffon-cake from Epicurious, which is why I inverted it promptly. That was not your recipe. Yours turned out a beautiful cake, easy to unmold (have you seen the two photos?). However, in both cakes the default test failed to reveal a still unfinished baking batter. This is what really struck me! – I think now that oily batters may reach an almost done stage where they become dense enough not to adhere to a metal blade. I will try another material soon. I know that mixing by hand takes more time. So, this is how I have done it: It took me something like > 30 m to whip the 5 eggs, 1 Tspn orange juice and the sugar to the ‘ribbon-stage’ (ponto de letra) using a medium-large silicone balloon whisk, I guessed that was like doing ‘Pão-de-Ló’ starting from whole eggs (yolk and white not separated); then I emulsified 1/5 of the olive oil and 1 Tspn of Nutmeg + orange zest into the whiped egg mixture, then proceeded to add the flour (sifting over batter) alternating with the rest of olive oil as stated on the recipe; lastly added the orange juice. I did this more folding than beating, until ingredients were combined and the batter turned out smooth and mostly homogenous. I DID FORGOT to add the SALT! Baking for me is like doing experimental research (I’m an Insect Taxonomist), so I will try again halving the recipe (3 eggs are much easier to whip to ribbon stage in a similar fashion that a stand-mixer would do) to a cake the size of those I usually bake. I guess it will take between 45m-1 hour to bake. You might have a point on batter handling and so I would like to downsize the problem just to oven and cooking time issue, getting rid of wrong doings while preparing the batter. If I get it right this time, the next I will add a variation that works wonderfully with saturated fat based popular Brazilian orange cakes: add 160g (average 1 cup) of raisin size chopped dried apricots (alperces, damascos). It does wonders with the orange flavor. Thank you very much again David! Sorry, Jorge. I misunderstood about the inverting. I look forward to hearing about your results. For the next time I’d suggest a few things: You don’t need to sift the flour. You also don’t need to fold in the orange juice. The batter’s not that delicate, like a pao-de-lo. I didn’t get the pictures. It’s best to submit them here: Let’s Tawk. Does the cake go into the refrigerator when cooled, or is one supposed to leave out on the counter in a covered cake holder? Yvonne, the cake stays on the counter under a cake dome. No need to refrigerate it at all. I submitted them via Let’s tawk…. Well, I went back to the kitchen and decided to repeat first the Epicurious lemon-olive oil cake because I live in a nature reserve in the countryside and have limes all around the place. It turned out perfectly. The toothpick test was ok and the cake done this time. The trouble is the oven, it goes either very low or very hot (>280 C), so I decidee to risk a litle bit on the high temperature side and keep an eye on the cake while baking, covered it with foil around 30m baking and took it out around 40. I think that because I’ve open the oven around 30m, it shrunk a little. I inverted the cake and it stood the test and then took it out very nicely when it cooled. So, now I’ll go back to your cake halving the recipe…still have to buy the oranges :). Thank you! Jorge, my pleasure. So glad you pinpointed the culprit. A capricious stove is often the cause of uneven baked goods. I finally made the orange cake again, halving the recipe for 3 eggs, 270g flour, 330g sugar, 230ml orange juice and baked it for 45 minutes using the same (and only) oven I have around here. I’ve put aluminum foil over the top at around 30m of baking and it came out perfect. Actually I think it was probably done around 40, but just didn’t want to risk. The ‘raisin-like’ crumbs on top of the cake are chopped pieces of apricots (120g), but I didn’t managed to get them distributed randomly through the batter, they “dove” to the bottom and cause some extra stickiness and a small “accident” when I took it out of the cake pan. Usually with another orange pound like cake recipe (with butter) it works by rinsing the chopped apricot pieces in 5-10g of flour and folding then to the batter. Any idea on how to fold pieces of dry fruits or nuts on this type of batter, like English fruit-cakes, so that they don’t drop to the bottom? The apricot flavor combines delightfully with the orange tanginess. A solution would be to add a light sugary orange glaze with these chopped apricot pieces on top. I’m quite happy with the result, and will be making it more times (orange season is just starting here in Portugal), especially if I find a standing mixer, because beating those eggs with a hand whisk to ribbon stage takes a little more than 40 minutes (that is why I halved the recipe to 3 large eggs :)! – Thank you very much for sharing this delicious recipe! Jorge, first you must be commended for 40 minutes of hand beating. I think there’s an Olympic category for such a feat. Anytime I want to add dried fruit, chocolate chips, nuts, etc. to a cake batter, I first rinse them with water and toss them in flour. Then into the batter they go. But that’s for a butter-based cake. This oil-based cake (which between the orange juice and olive oil contains a lot of liquid) may have a different density, and therefore the pieces do a swan dive. I suggest cutting the pieces much smaller and seeing if that helps. Should the orange-olive oil cake be refrigerated or should it be left in the covered cake plate on the counter? By now this orange cake is becoming popular among the staff, researchers and guests here at REGUA … the ladies in the kitchen entirely approved it. They have ‘tropicalised’ it a bit by adding zested nutmeg and a spoon of fresh ground ginger. This post is to let folks know that the recipe works also very well with self-raising flour. The majority of Brazilian households use self-raising cake flour for baking any kind of cake, so I decided to give it a try because it would be much easier to pass on the recipe for local people here featuring that kind of flour instead of all purpose flour (known here as ‘Trigo’) and baking powder (no baking soda here). It worked very well! – The cake rose a little bit more than usual (7-8 mm) but the crumb was perfect, dense and moist. I now wonder if some of the troubles I had before were due to poor measuring of baking powder (you know… a teaspoon is quite variable from place to place). And yes… I decided to buy a good mixer!